Scoliosis is a neuromuscular condition influenced by other factors, although it appears to be a bone condition. The three-dimensional change in the spine’s alignment, or the curve, is only a mere symptom of the condition. 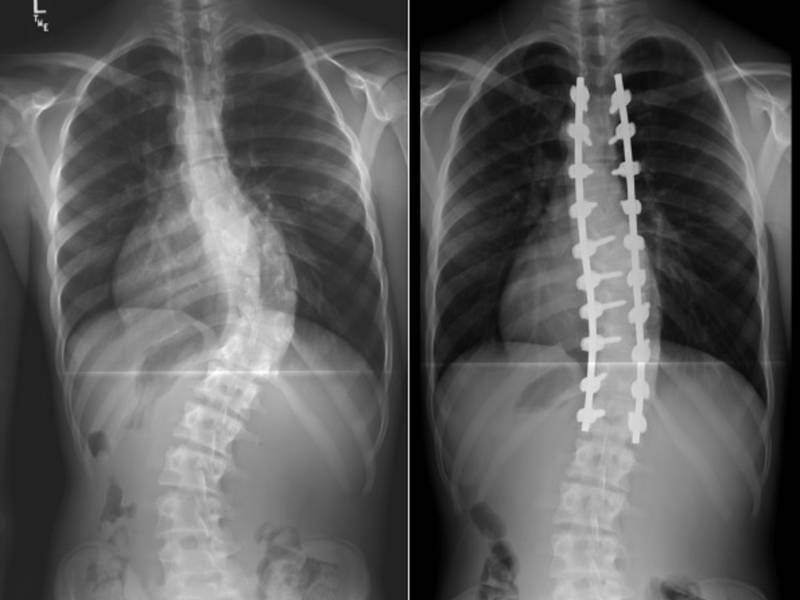 Scoliosis has challenged health care for a long time because of its’ effect on the body. Pain is the major problem associated with scoliosis, but there could be worse effects. The curvature could cause stress to occur on spinal discs, nerves, muscles, or ligaments and can lead to back pain and sciatic pain. Scoliosis affects 2-3 percent of the population or an estimated six to nine million people in the United States. Scoliosis can develop in infancy or early childhood. The primary age that Scoliosis is diagnosed is 10-15 years old. It is very important that curves be monitored for change by periodic examination and standing x-rays as needed. Many patients with scoliosis have struggled with a lifetime of discomfort, physically and emotionally. Most people with scoliosis have had to wear bulky, uncomfortable and visible braces during these formative years. Patients carry these discomforts and insecurities with them into adulthood and try out many different treatments. While there is no cure for Scoliosis, Chiropractic care can help with pain management drastically. Chiropractic care can thwart further degradation and increase your quality of life. These adjustments and therapies help to improve form (therefore, improving function), and induce mobility into the joints. These improvements can decrease pain, increase comfort and improve posture. Here at LA Health Solutions, our local chiropractors will treat your spine, back, and neck to provide you with the immediate relief that you desire. If you suffer from any form of back pain, LA Health Solutions will help each of our patients on an individual level for your specific pain or injury.